In 1954 America saw a mass vaccine against polio being given to children. The most popular show on television was “Father Knows Best.” Marlon Brando was in two hit movies of the year, “On The Waterfront” and “The Wild One.” A new trend started called DIY (Do It Yourself) as families tried to improve their homes themselves. Car engines continued to get bigger and more powerful. Gas cost 29 cents a gallon. Meanwhile Eugene and Thomas E. Nalband, with their father Thomas , wrestled with a way to improve resurfacing industrial rolls. Like most entrepreneurs, they willingly risked their future on starting a new business. This business would service customers by providing excellent work creating a true “customer experience.” They created a business atmosphere where the best talent would want to work and build their careers over the long term. Since 1954 MP&P has been providing a range of fabrication, repair, hard coating, resurfacing and finishing services. The company holds an ISO 9001:2000 certification from the International Organization for Standardization. The family continues to guide the company while developing long-term relationships with customers near and far. Continuing to deliver top-quality chromium plating, surface finishing and fabrication, roll after roll. 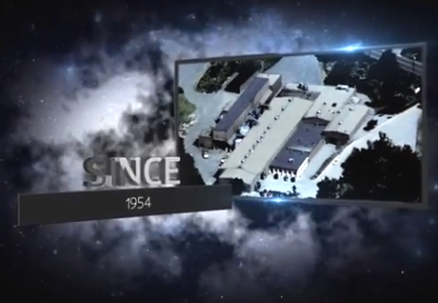 The Nalband family have a work ethic that keeps employees dedicated to innovation and service. Six decades and rolling into the future! Yes, it turns out that 1954 was a very good year. Posted in Beginnings and tagged 1954, hard chromium plating, MP&P, surface finishing.